The ham with the best gourmet reputation in the world is Iberico Ham, mainly Acorn Iberico Ham, although there many types of hams available in the market they can´t match the flavour and quality of the Iberico ham. 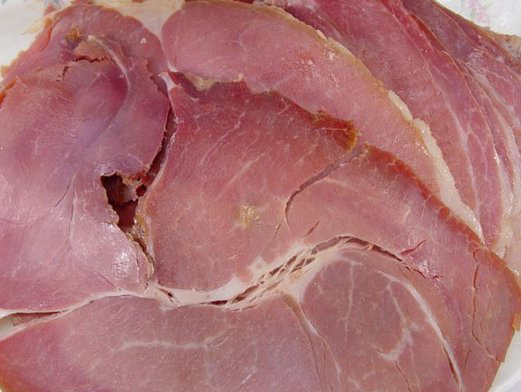 We can find raw hams, cooked hams, depending on the taste of the consumer. Raw ham is a Mediterranean specialty and very valued product. It is a product made by salting and drying the hindquarters of pig. Depending on the animal, its size, its breeding and feeding we have different types of raw ham. Curing varies between 9 and 12 months for a cellar ham, from 12 to 15 months for a reserve ham and more than 15 months for a grand reserve. The bigger the curing time, the better the ham quality. So, how can we distinguish a good ham? Colour, flavour and aroma define its quality in the same way the cutting (in very fine slices, almost transparent) and storage temperature do. Prosciutto di Parma. Originated in Italy and known as Parma Ham, it comes from white breeding pigs. The first curing hours are made in cold stores and the salting process is similar to Serrano ham, maturing between 14 and 16 months. This is the reason for its light colour, low salt and sweetish flavor. San Daniele, produced in San Daniele de Friuli, Italy. Made with the fresh hinter quarts of the pig, sea salt and cured for 16 months. Its main characteristics are dark color, soft flavour and low sodium content. Iberico Ham. 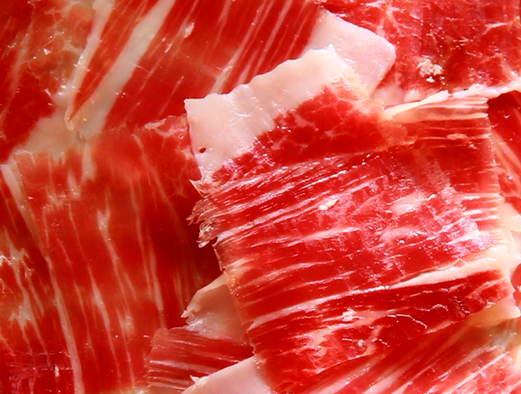 It is considered as the best ham in the world, Iberico ham comes from the southwest of Spain and only pigs from Iberico breeding can be used to produce it. 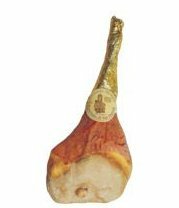 This ham stands apart due to facts like the purity of the breed, the raising in freedom of the Iberico pig in grasslands, the feeding of the pigs and the curing time from 8 to 36 months. Iberico ham differentiates from the rest due to its texture, the perfect intertwined layers of fat and meat, the aroma and powerful unique that depends on the acorns the fed and how many months they have roamed free. 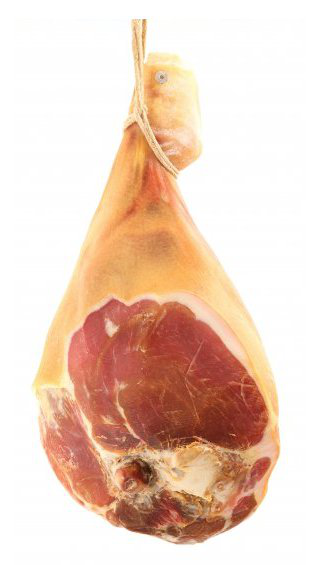 Serrano Ham, it is the ham of any other pig breeding in Spain (except Iberico) and it is called serrano because traditionally it was cured in the cold, dry weather of the mountains (sierra). Although currently this process is made in industrial drying places, producers keep the production the traditional way with 14 days of salting, post salting, rinsing of the piece and curing the ham for 24 months. Nacional Ham, In Argentina the raw ham is called nacional ham, and the main difference with Serrano ham is, it is covered in paprika and the storage method. Curing process should be at least 12 months. These hams resemble more the Spanish hams than Italian ones (which are sweeter). Ardennes Ham. Made in Belgium from local pigs which possess savoury and lean meat. After pig slaughtering it is covered in brine for 12 to 21 days. Afterwards the ham will be smoked. Currently they are smoked in less than 12 hours. The perfect smoke is a mixture of burning beech tree and oak, thyme and juniper add and aromatic touch. Afterwards the ham will be in the drying store to be cured for 3 or 4 months depending on its quality. Bayonne Ham, it is produced in the south west of France, pigs roam in semi freedom and they are fed corn, grass and cereals. Production is very similar to Spanish ham. The pieces of ham should weigh at least 8.5 kilos and meat has to show a pink-red color while fat has to be white and odourless. The ham is covered with salt from the Adour region and dries during winter months. Afterwards it will be dried in cold stores at very low temperatures and cured while ham fat and flours are applied for a softer dry process. Curing time depends on the size and quality of every ham. But on average is between 9 and 10 months with a minimum of 7 months. Black Forest Ham, it is produced in the Black Forest region in Germany and possesses a characteristic aroma and a smoky flavour due to its curing process. It is salted with juniper, garlic, herbs and pepper. Afterwards they let stand and it is cold-smoked. 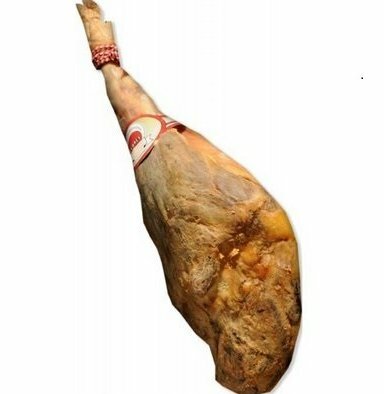 As you can see there are different techniques used to produce hams all over the world, but Spanish Ham, due to its quality and variety is considered the best of the world.